- Oilbird (2G Blusang from Holly) - NOTE: Nobody has fulfilled a Holly request on this thread in a while, and we don't think any of the members who use this thread have a CB Holly. I'll put the request up, but the chances of it being fulfilled are slim to none. 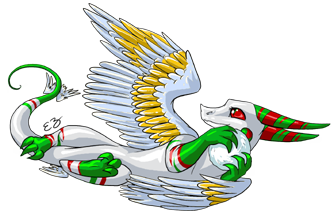 NOTE: You can only request dragons from a pairing with a holiday dragon. Prize dragons (shimmerscales and tinsels) are not holiday dragons! Thus, request denied, sorry. I also have a question, if that is alright. We are not allowed to ask for 2G Gold/Silvers, but can we request higher gen Gold/Silvers? Thanks! Yep, requests for Golds and Silvers that are 3G or higher are allowed here. Oops! I'm sorry. I forgot about that part when I was typing out my request. Secret field: No holiday requests - thanks, stardust13! Egg wanted and special wishes: 3G Pink from M Shadow Walker x F Pink, Arias Grandparents. Named dragons please.